Pre-steamed durum wheat semolina. Easy and quick to prepare, it takes just 5 minutes to be ready. 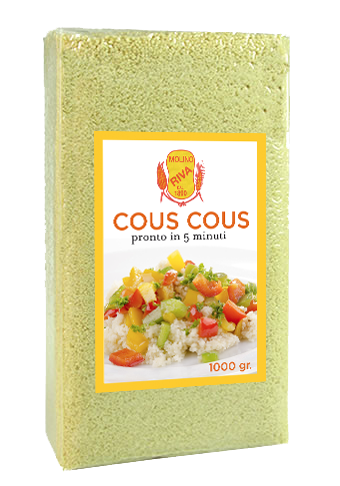 Cous cous is a typical dish of the North-African tradition, very common also in our cuisine by now. It can be served as a side-dish for poultry, fish and vegetables or you can also enjoy it cold with fresh vegetables. © 2015 Any total or partial reproduction of texts and images is strictly forbidden without the prior written permission of Molino Riva s.r.l.